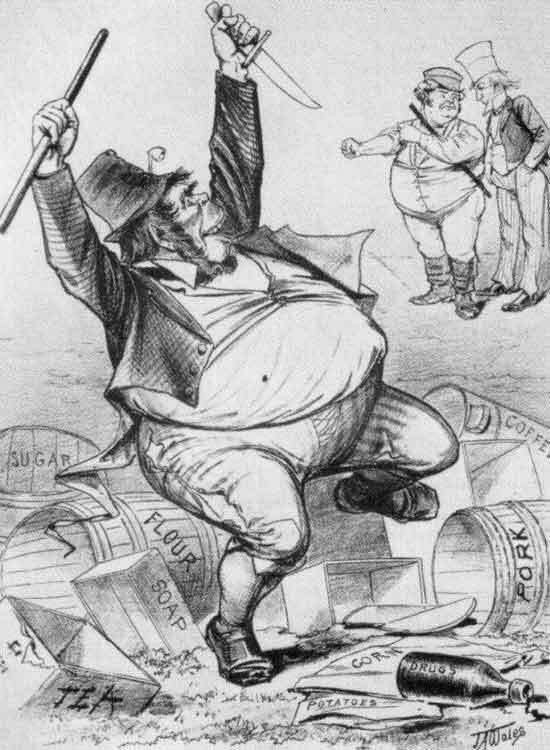 In this cartoon we can see many of the stereotypes of the irishman of the 1800s--the association with drink, but also a flat nose, pronounced mouth and lips, low forehead, and general air of brutishness. 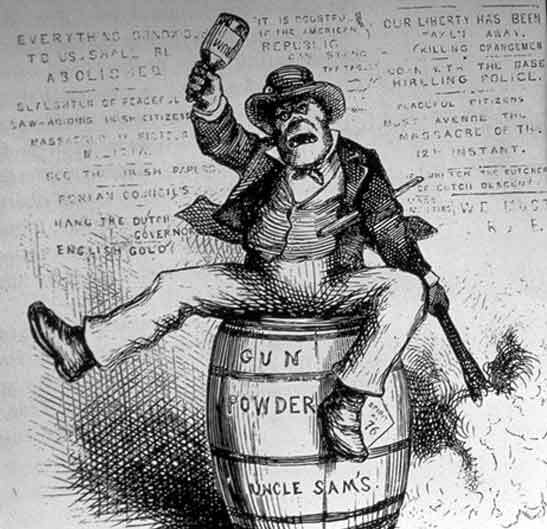 In this cartoon the drunken, violent Irishman sits on a powder keg that threatens the US itself. He has the same pronounced facial features as the character above and below. 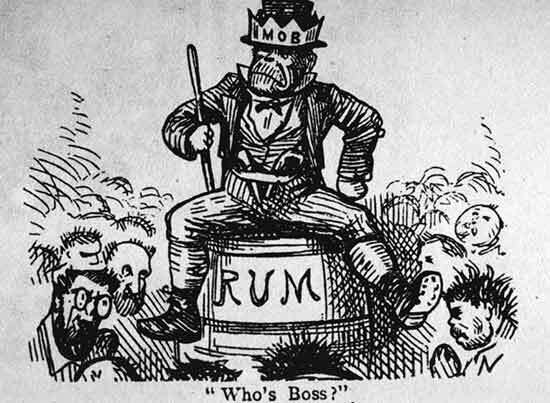 In this image John Bull (England) and Uncle Sam (the U.S.) debate how to solve the problem of the riotous Irishman, who again has the pronounced lower jaw and mouth, the flat, short nose, and the sloping forehead of a racial inferior. Some historians have argued that the Irish were seen as not quite white--not black, exactly, but not quite "white" either.